Carolyn Finney is an Assistant Profesor of Geography at University of Kentucky. In her previous position at the University of California, Berkeley, Finney explored how difference, identity, representation, and power play a significant role in determining how people negotiate their daily lives in relation to the environment. By engaging art, science and popular culture, she works to create new frameworks of engagement where diverse communities and individuals, environmental organizations, government agencies and academic institutions can establish and nurture healthy human/environment relationships. Although Finney pursed an acting career for eleven years, a backpacking trip around the world and living in Nepal changed the course of her life. Motivated by these experiences, she returned to school after a 15-year absence to complete a BA and MA in international development. She completed her PhD in geography at Clark University in Massachusetts and is a Canon National Parks Science Scholarship recipient. As a Fulbright fellow, she has also researched the impacts of tourism and modernization on Nepalese women and the environment. In 2005-06, she was a Newhouse/Mellon postdoctoral fellow at Wellesley College in Massachusetts in Environmental Studies and Humanities. Along with public speaking and consulting in the US and abroad, Finney serves on a number of national boards and committees including the American Association for the Advancement of Science, Orion Magazine, and the Center for Whole Communities. In addition, she works with cultural institutions such as museums and non-profits that have public participation in the creation and dissemination of ideas as part of their artistic mandate. Finney was particularly honored to serve as a commissioner on the Second Century National Parks Commission along with Sandra Day O’Connor, Sylvia Earle, John Fahey of National Geographic Magazine, and other distinguished individuals. She was appointed by Secretary of the Interior Ken Salazar to continue that work on the National Parks Advisory Board. She has written a number of essays—her most recent entitled “Brave New World? Ruminations on Race in the 21st Century,” published in the journal Antipode. Carolyn’s first book manuscript, Black Faces, White Spaces: Reimagining the Relationship of African Americans to the Great Outdoors will be published in May 2014 (UNC Press). She continues to reflect on the long-term implications of relationships—be they between people, organizations, or ideas—that are not transactional, but are grounded in a commitment to reciprocity, emergence and possibility. 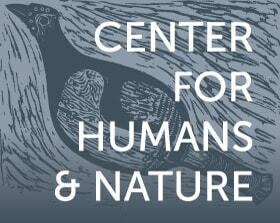 A response to "How is nature critical to a 21st century urban ethic?" In this book, Carolyn Finney looks beyond the discourse of the environmental justice movement to examine how the natural environment has been understood, commodified, and represented by both white and black Americans.